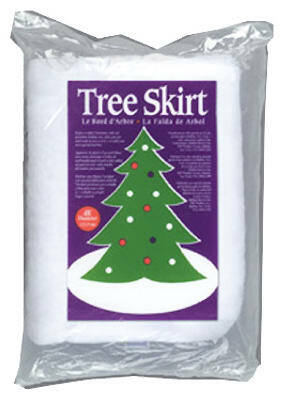 Premium holiday tree skirts, pre-cut and ready to use as is, or craft touches may be added. Carefully crafted of I 00% pure white virgin polyester. Flame retardant and non­allergenic. Solid circle shape.